With plenty of moving services, Meathead Movers is fully prepared to make Los Olivos your new home. Our clean-cut student athlete movers are dedicated to fulfilling all your moving needs efficiently. Welcome to Meathead Movers of Los Olivos! If you are moving to or from anywhere in Los Olivos we are the moving company for you! Our professionally trained student-athlete movers and our move concierge are here to help you with every stage of your move in Los Olivos. Los Olivos is a charming historical town located in the Santa Ynez Valley. With its vineyards, ranches, shopping, gourmet restaurants, and art and wine festivals, this city is a beautiful place to call home. 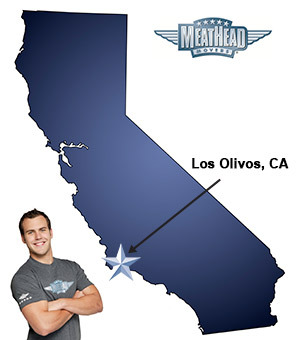 If you are considering a move to Los Olivos, you should check out Meathead Movers. Our moving company specializes in local, long-distance, and commercial moves to, from, and within Los Olivos. We also provide reliable packing, storage, on-site relocations, and our distinctive moving concierge service, which connects you with local service providers. All our student-athlete movers are thoroughly screened and trained before their very first move. With branches not just in Los Olivos, but all throughout California, we are your one stop resource for all your moving needs, no matter where your California move takes you. In fact, you can see what your neighbors in Los Olivos have to say about us! With our 100% satisfaction guarantee, the only thing you have to lose is the stress that comes from moving! So contact us today for a free no-obligation moving quote and to learn how we can help you on your next move! Moving to Los Olivos? Here are some helpful resources. View more Los Olivos resources. Movers were very kind and friendly. They worked hard and checked with me if they had any questions regarding an item. They explained things very well. They were so careful, so professional and so polite! Professional, friendly, and efficient. So glad I booked this company! Let me start by saying the guys and gals were delightful - courteous and willing to please. However, organization was a problem. Movers didn't have a clear idea of order of things. Boxes were piled against walls where furniture was to be placed and, therefore, had to be moved twice and sometimes even three times. Rugs should be last on truck and first on new house floor! Since customers pay by the hour this is an expensive waste of time. As much as I admired their desire to get the job done, to NOT take a lunch hour meant all of them were hungry and tired (no lunch hour for them also meant none for us) which caused them to hurry the job toward the end, forgetting things (an 11' x 13' rug pad for one) and putting less care into their packing. After a quick supper they were back on the job until 10:30 p.m. - again, a day way too long for all of us. Also, we were quoted a price that was NOT supposed to be exceeded - guaranteed to be as high as it would go - and we ended paying considerably more. Friendly, efficient and take good care of belongings.